The Google App is pre-installed on nearly every Android phone out there, and it’s responsible for Google search, Google Feed, and the Google Assistant. The app often contains a treasure trove of hidden features waiting to be uncovered, and last week we did just that—we found hints that the Google App would add a third hotword, Google Duo integration in Smart Displays, and more. This week, Google App 7.21 is rolling out and it hints at a potential feature on the next Pixel smartphone: a physical Google Assistant button. 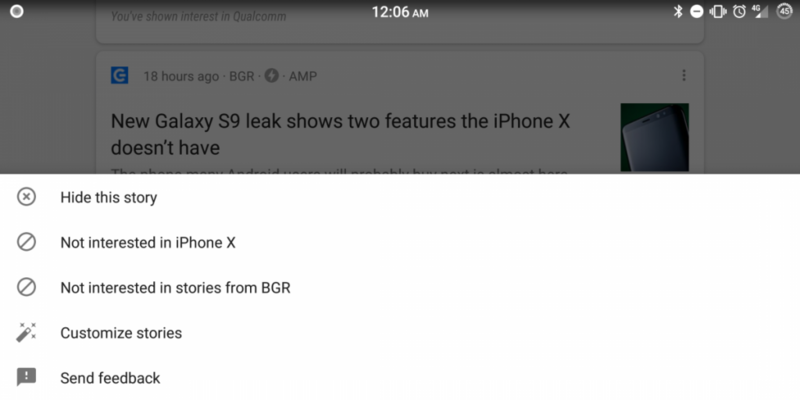 Alongside that, there are also hints that the app may let you set a default output device for music/video, better personalize the Google Feed, and also potentially shopping on a Smart Display. An APK teardown can often predict features that may arrive in a future update of an application, but it is possible that any of the features we mention here may not make it in a future release. This is because these features are currently unimplemented in the live build and may be pulled at any time by Google in a future build. A Pixel Phone with a Physical Assistant Button? Google seems to be experimenting with new ways for users to launch the Google Assistant, it seems. You can already launch the Google Assistant using the “Ok Google” or “Hey Google” hotwords, and on the Pixel 2 with its Active Edge you can squeeze your phone to launch Assistant (you can do so much more than just that, provided you’re willing to root your phone). We previously uncovered that Google was working on a long-press gesture to start the Assistant from the Pixel 2’s always on display, but it appears that Google may be experimenting with a physical Google Assistant button on a potential future Pixel device. The strings that we uncovered state that you can “tap the Assistant button” to launch it and that Assistant is “a tap away.” Furthermore, the strings’ titles refer to a “hardware_button” so it’s clear that there is supposed to be some sort of hardware button involved. A graphic is associated with this so-called hardware Assistant button, and we have placed that graphic as the feature image above. Judging by the graphic, it’s clear that the button is placed to the side of a device, which differs from the physical Assistant button’s location on the Google Pixelbook. We recently saw hints that Google Assistant would be launching on Chrome OS devices and there was also that mysterious Acer-made Chrome OS tablet that has yet to be identified, so it’s possible that this physical Google Assistant button will debut on either a Pixel phone or a Chrome OS tablet. Google’s Chromecast sold like hotcakes, and its recent addition to the Google Home family, the Google Home Mini, is likely to do the same. (You can enter to win one here, by the way, if you own either an Honor 7X or an Honor 9 Lite.) Personally, I love my suite of connected Google products, but admittedly I almost exclusively control my products by tapping on buttons on my phone. It took quite a while for Google Assistant on phones to gain the ability to control playback on Chromecasts, so until recently it wasn’t even worth using your voice to control playback if you didn’t own a Google Home. And if you do own a Google Home…and a Google Home Mini…and multiple Chromecasts, then it can be annoying having to deal with selecting which device you want to play music or video on. Fortunately, it appears that a new preference in the Google App will allow you to choose a default speaker for music and videos. Just in time for audiobook integration! In many people’s opinions, the quality of the news articles shown in Google Feed has been steadily declining over time. It used to be that you would see articles you were interested in, but many have felt that the articles they are shown are either poor quality or uninteresting. Given how much data Google has collected on our search and browsing habits, why isn’t the Google Feed better? Well, it appears that the Google App will add a new way for you to represent your interest (or lack thereof) in a story. Currently, you can say that you are “not interested” in a particular topic or articles from a particular website. According to new strings, it appears you may have more options available to tell Google Feed how you would like to rank content. You will be able to “react” to articles by telling Feed that you want more or less of that kind of content. At the 2018 Consumer Electronics Show last month, Google announced that Assistant would make its way to Android Auto and a new category of devices called Smart Displays. These new Smart Displays are a direct competitor to Amazon’s Echo Show (and potentially in the future, Facebook’s “Portal” device) and allow you to talk to the Assistant and receive visual feedback. Just as Android Messages recently hinted at sending payments, now it appears that these Smart Displays will also allow you to purchase items from retailers and services. This is hardly an unexpected move, and makes perfect sense for an Assistant-enabled device that gives you visual feedback. Making a purchase through a purely voice-guided system can be frustrating if any part of the checkout process is incorrect, so we think these Smart Displays will make better use of a voice-initiated shopping feature. That’s all that we found in the latest Google App update. There’s a lot to get excited about here. We’re mostly interested in the potential Google device with a hardware Assistant button. The reaction to the Samsung Galaxy S8/S8+/Note8’s physical Bixby button has been mixed, with many looking for ways to remap the button because they find it useless. Personally, I’m pretty used to Google Assistant, so I wouldn’t mind having the button around, but I realize that opinions on this will differ. Let us know in the comments if you spot anything new, and follow our APK Teardown tag for more articles like this.